The last Check-In of 2017! Did you know that 2017 was the final full year of available funding for eSmart Libraries? The success of the initiative has been shown by the tenacity and persistence of library teams right across Australia. You have embedded eSmart into your library's operations, and staff teams consistently aim for a smart, safe and responsible online culture. You have encouraged your community to up-skill themselves and enjoy using digital technology in so many ways. We round up the year in this final issue of Check-In by including firm favourites and the latest resources, posters and Top Tips. Refer to this information throughout the year ahead for awareness weeks, staff training and policy updating. Many of the information pieces designed by libraries has an eSmart logo. If you would like to add one to your work, download it here. The eSmart Libraries community continues to grow rapidly. All together, 123 branches have become eSmart this year. Everyone is contributing to building an eSmart Australia! We have access to a wealth of outstanding tools, resources and website information, created and designed by libraries and leading organisations. How can you save time searching through it all for that ideal poster message or short cyber safety video? To make researching easier we have compiled a range of information and material within several easy-to-reference groups. Here’s a central pot of resources you can dip into throughout the year. What gets the patrons interested? Results from a recent library user survey strongly indicated that patrons were most interested to learn about cyber safety from brochures and tip sheets in the library. Primary school students are often active designers and have created posters for libraries to promote activities and events such as ‘Storytime’. Here's a new range of eSmart posters designed by Frankston City Libraries. Succinct cyber safety tips are a perfect way to deliver information and have become a regular feature in newsletters, websites and social media posts for many libraries. A checklist of 7 tips suggested by Family Online Safety Institute (FOSI) teaches tech users how to clean up their digital footprint and is ideal to be developed into high visual posters as part of the library's school holiday program. Telstra's 'My first mobile Agreement' is an oldie but a goodie. An ideal component in a bundle of digital information suitable for youth groups or school book bags. 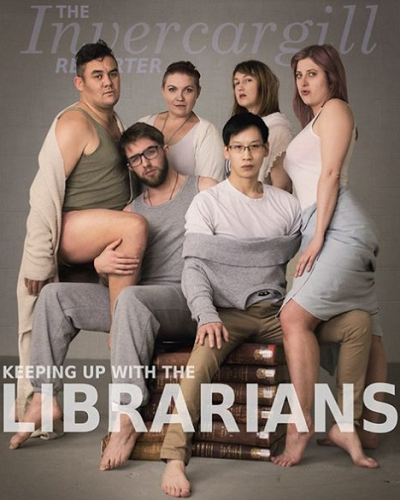 Invercargill Library in New Zealand decided to creatively raise awareness of their library via Facebook to a new generation of users. Check out their creative Facebook campaign here. These bright and informative posters made by City of Rockingham Library Service show how to create your own Code of Conduct (behaviour charter), to share eSmart messages across the community. What's new at the Foundation? 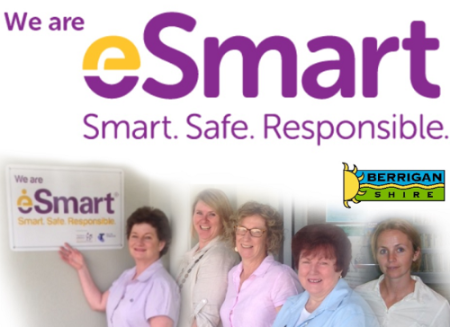 The eSmart Team at the Alannah & Madeline Foundation is currently developing an exciting new initiative to support all eSmart libraries in their commitment to remain up-to-date and continually informed in the Sustaining phase following accreditation. eSmart Membership for libraries will be launched on 1 July 2018 and offers new and exclusive resources, activities and benefits via an online portal. Look out for more information in the new year. 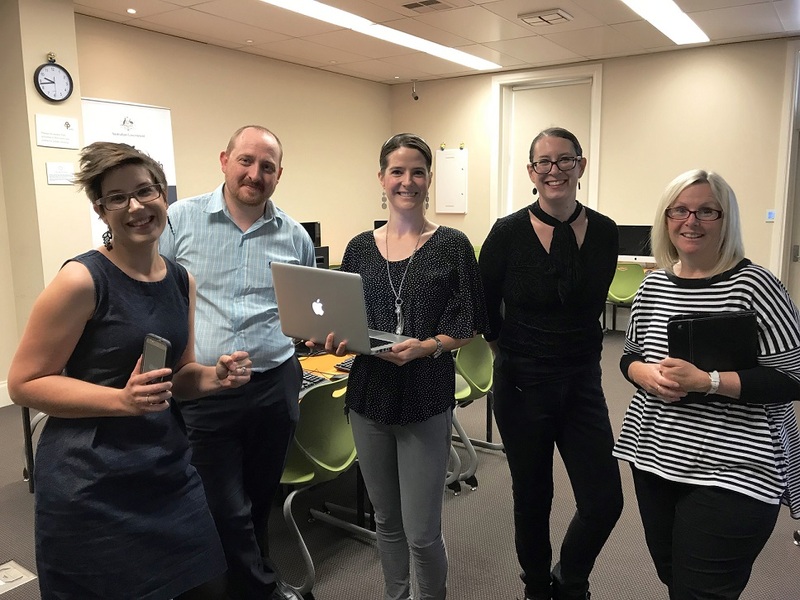 The eSmart Coordinator at this South Australian library said, "As an eSmart Library serving a vibrant community, we strive to remain at the forefront of evolving technologies". Read how their Working Group and whole staff team developed further learning for everyone. how to report abusive behaviour. The eSafety Women initiative is an offering from the Office of the eSafety Commissioner. Find out who has access to our information stored in each of your devices and help stay in control by taking a Technology Checkup. 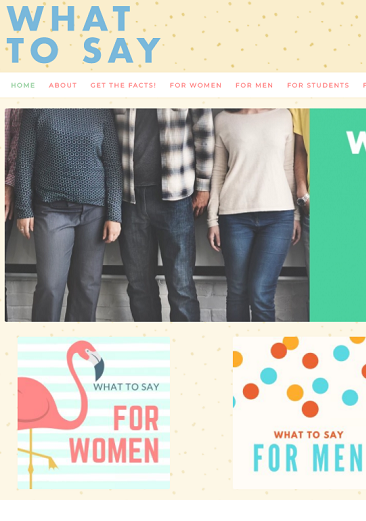 A new feature on the What To Say website provides valuable info including understanding the risks of sexting for women; what to say scenarios for workplaces and student information via the Worth Checking Out page. A 'Get the Facts' page provides myth busting scenarios to reinforce the message that the definition of consent begins with free agreement. Use these highly useful resources for outreach activities in Domain 5. The date has been announced for next year’s National Simultaneous Storytime. Pencil in Wednesday 23 May at 11am (AEST) as the nation will stop to read Hickory Dickory Dash by Tony Wilson. Register free and have access to a bundle of downloadables to support your library event. The latest report from the Australian Psychological Society has delved into the online world. The media release summarises a recent survey of adults and teens looking into the impacts of social media posts. High visual posters, social media posts and tipsheets for teens and adults are offered as ideal resources for library teams. The Be Connected program is offering grants to libraries to support older adults through the provision of digital inclusion programs. Find out more about applying for one or both of the grants. 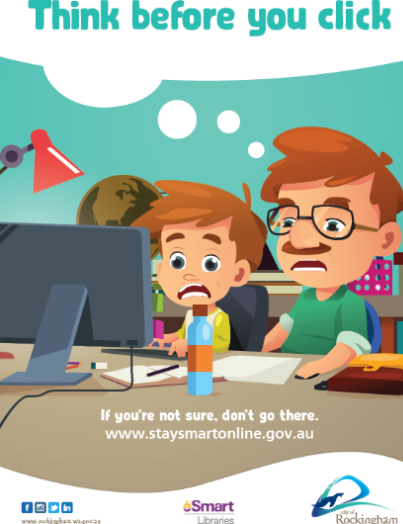 This study, by online security provider Norton by Symantec, unveils an increase of online harassment experienced by Australians. Norton has identified 3 steps to take to combat online harassment. A new type of scam email is attempting to pass off as the AFP, eToll and AusPost in order to infect your computer with malware. Make yourself aware of some common tactics used by scammers and learn how to avoid them. If properly prepared and supported, school librarians are well positioned to be at the leading edge of the digital transformation of learning. 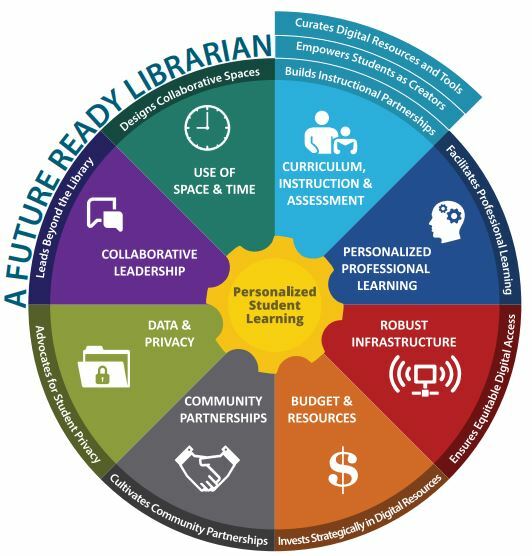 View this fantastic visual resource for becoming a Future Ready Librarian! Connect Speaker and Consultancy Service provides informative workshops for libraries, workplaces and the broader community. Workshops span the Foundation’s area of expertise and are designed to help libraries improve cyber safety and help reduce cyber bullying in our communities. We have been working hard to bring you the most up-to-date and relevant workshops to help you keep your community safe. Our latest cyber safety workshop, Parenting in the Digital World, includes detailed information on the risks and opportunities technology offers young people and families. It highlights a selection of advice based on current research and our extensive work with schools, children and their parents. Workshops start from $500 with discounts for eSmart registered libraries, as well as bundled costs for multiple workshops. These workshops can be also be delivered online. For more detail on the workshops and presentations available through Connect, please visit amf.org.au/connect, email connect@amf.org.au, or call the team on 1300 592 151. We will be travelling across the country until end of June 2018. From July onwards, the team continues to be available via webinar and telephone support for eSmart introductory and ongoing training sessions. Working Groups are welcome to request a face-to-face support visit at any time for the next six months especially if your Working Group has reformed with new members. Launched in August 2012 by the former Prime Minister of Australia, the Hon. Julia Gillard MP, our $8 million, multi-year partnership with the Telstra Foundation is delivering eSmart Libraries. The Framework is being provided in collaboration with Australia's library network to all of Australia's 1,500 public libraries for free. eSmart Libraries is now in over 75% of all public libraries across the country. On behalf of the Alannah & Madeline Foundation and the Telstra Foundation, we would like to wish everyone a very happy Christmas and New Year. We look forward to more opportunities in 2018 to work collaboratively with libraries towards building skills to encourage smart, safe and responsible online behaviour in every community across Australia. 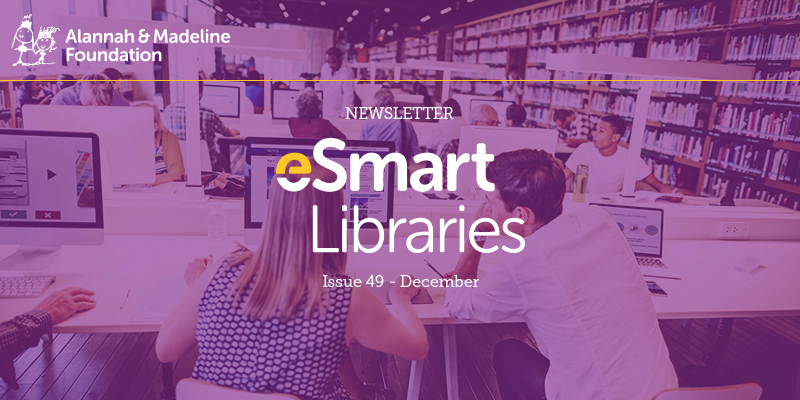 You are subscribed to receive the eSmart Libraries monthly newsletter. Click here to unsubscribe or to change your Subscription Preferences.